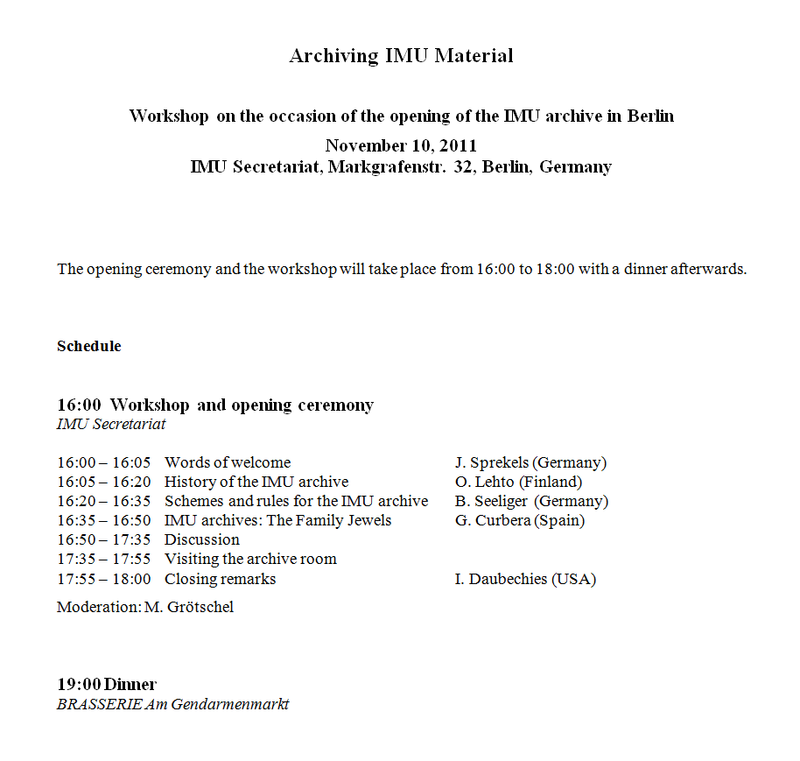 Today the IMU Secretariat inaugurated its archive in Berlin. The archive has been set up by former IMU Secretary Olli Lehto, it was hosted and maintained for 17 years at the University of Helsinki. All documents have now been moved to Berlin. The archive opening was part of a small workshop where the future organization and format of the archive was discussed. The ‘inauguration‘ was highlighted by the presence of Olli Lehto, who, in the course of collecting material for the IMU archive, wrote the book “Mathematics without borders: a history of the International Mathematical Union”. His speech at the workshop provided a brief survey of the history of IMU and its archive. This entry was posted in Uncategorized on November 10, 2011 by imu-news.